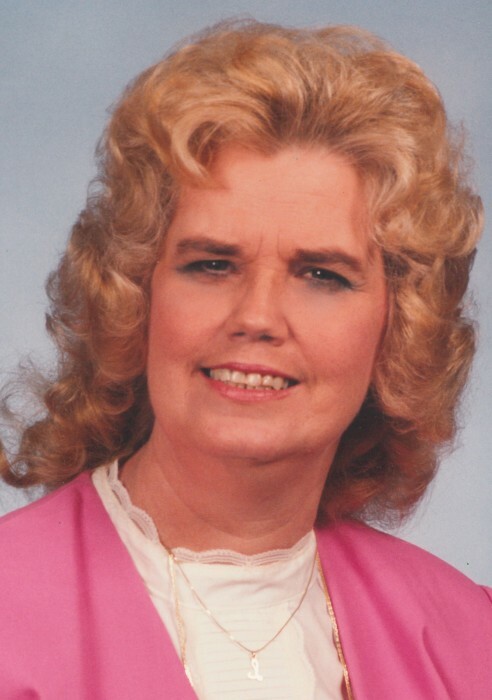 Linda Esteline Carter, age 80, of Clarksville, passed away Monday, April 1, 2019, at Clarksville Nursing and Rehab. Linda was born November 7, 1938, in Old Hickory, TN, to the late John Wesley Carter, Jr. and Georgia K. Horton Carter. She was also preceded in death by her sister, Mary Carter Henley; aunt, Bernice Carter Peacher; William E. Grant, Mildred Carter, and Ed Ketner. A Celebration of Life Service will be held Saturday, April 6, at 10:00 AM, at the Chapel of Neal-Tarpley-Parchman Funeral Home. Burial will follow at Living Hope Baptist Church Cemetery. Visitation will be Saturday, April 6, from 9:00 AM until the hour of service, at the funeral home. Linda is survived by her aunt, Margaret Carter Grant; uncle, Henry Carter; first cousin and caregiver, John (Pat) Grant of Clarksville; seven other first cousins, Lee Peacher Ketner of Clarksville, Julie Peacher (Ed) Lyman of Nashville, Naomi Grant (Roger) Glass of Kentucky, Thomas E. Grant of Clarksville, Patty Grant (Billy) Cook of Clarksville, Larry (Claudia) Carter of Clarksville, and Susie Carter (Ronnie) Boyd of Clarksville. Arrangements are entrusted to Neal-Tarpley-Parchman Funeral Home, 1510 Madison Street, Clarksville, TN 37040; (931) 645-6488. Online condolences may be made at www.nealtarpleyparchmn.com.